We all do it: We make huge plans for New Year's Eve. As the big day approaches, we start building expectations, planning the best night of our lives. And yet, it rarely lives up. After all, how could it? We set unrealistic goals for a single night where many places are crowded and loud, there are tons of rowdy drunk people, and an astronomical bill comes at the end of the evening. You're left wondering, "Was it worth it?" Fortunately, all it takes is a little reassessment of your expectations to make sure this year's big night is one to remember. 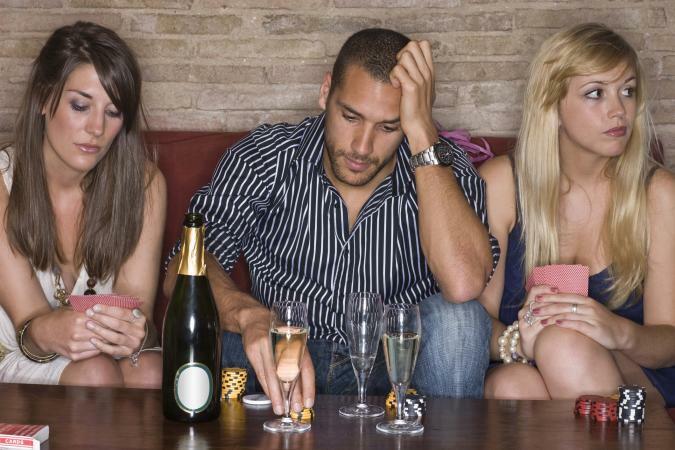 If you get smashed on New Year's Eve, odds are you won't even remember what you did and whether or not you had fun. That's not saying there's something wrong with having a couple of glasses of wine or some Champagne at midnight - after all, it is a celebration. Just keep it light, since you want to remember the fun you had with your friends and family. After all, do you really want to spend the first day of the new year with a hangover? And it should go without saying, but if you do happen to imbibe, make sure you're not driving. Have fun, take it easy, and keep it social. You'll be glad you did. Many people like to spend the holidays with their friends and family. You could reserve a table at a favorite restaurant, but how about staying home and cooking? There's nothing worse than having to shout across the table because the restaurant is so crowded, except maybe waiting in line for an hour or more for that privilege. Never mind the bill will almost always be significantly higher than it would be almost any other night of the year. If you love to cook, you can make a great meal that everyone can enjoy - using their indoor voices, even. A great idea for an at-home New Year's Eve party is antipasta and other finger foods. If it's a large get-together, it might be difficult to have a sit-down meal due to space restrictions, but a buffet is always a good choice. Gauge your space and guests' comfort when deciding what to serve. We all are so quick to make resolutions, and it's a great idea - in theory. New year, new you. Yet so many people choose things that are almost impossible for them to do (and deep down, they know it). The key is to keep it realistic and fun. If your goal is being more healthy and fit, maybe think about taking a walk after dinner a few nights a week. It doesn't cost anything and isn't quite the obligation of a gym membership. You may find starting slow leads to eventually joining a gym, or even running a marathon. If you're looking for a new job or career, don't get discouraged if you don't find one right away. These things take time. Make a checklist and do a couple of small things every day until you reach your goal. We tend to put a lot of pressure on ourselves with these resolutions, and while some people thrive under pressure, most of us require a little more self-kindness and patience to reach our goals. Of course, you should make those resolutions: just do them in a way that is attainable and won't push you to give up before you even started. Perhaps you don't feel like going anywhere or hosting a big celebration. There's no hard and fast rule that you have to. Curl up with your spouse or someone you're dating and binge watch a marathon of a favorite show. Invite a couple of close friends who don't want anything to do with all the hoopla to come over for a relaxing night. Watch some movies, switch the TV to the ball drop at midnight, and call it an evening. It's inexpensive, fun, and no-pressure - which is exactly what some people need. We promise: you're not breaking any laws (legal or societal) by staying in, and it could end up being a new tradition your friends start emulating in years to come. So many people make a big deal out of that midnight kiss. Sure, it's romantic if you can pull it off (and especially when you're younger and not thinking "finally, time for bed! "), but it's not essential. Think about it like this: if you're out with someone and you feel obligated to make kissing them the first thing you do in the year, it feels forced and staged. And yet, if it just happens, it's magical. So let it happen. Or don't let it happen. It doesn't matter, and really won't change your year at all (unless you decided to get married on New Year's Eve, and timed that kiss for midnight, in which case we congratulate you for that expert level of wedding planning). Just do what's natural. Whatever you decide to do on New Year's Eve, it's important to be happy with your choices and have a fun and safe evening. 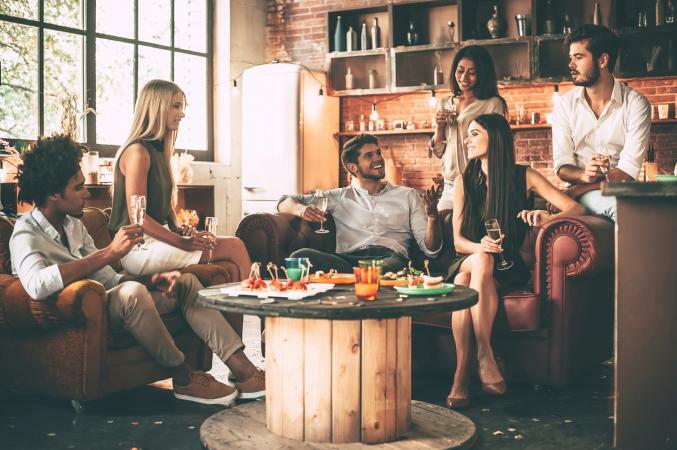 Whether it's spending a few thousand dollars in the champagne room of a favorite bar or binge watching Netflix and knitting with a glass of wine, it doesn't matter. We're all individuals, and when it comes to celebrating the new year, one size does not fit all.